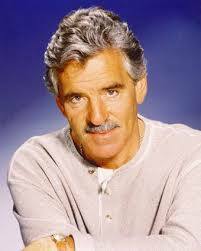 Dennis Farina Died of a Blood Clot --- Should You Be Concerned? can we do to minimize our risks of developing blood clots? What are Blood Clots and Why Do They Form? you become a hemophiliac, someone who cannot stop bleeding. So, you need some fibrin simply to stay alive. But too much of a good thing can be a bad thing. blood clots. A thrombosis is another name for a blood clot. and other diseases such as cancer. the fires of inflammation in your body. fire. They only reacted to it. clots that form in your veins such as the veins of your legs. What Can You Do to Lower Your Risk of Blood Clots? become a leading killer in the Western industrialized world. your risk of thrombosis, according to a 2011 study led by Dr.
coagulating blood clotting cascade of events. pack with over 70% obesity. between 20 and 24.9 BMI. muscles by flexing your feet helps to move your blood flow. But do more than that. Move your body as much as possible. you want to avoid blood clots. help your blood flow and overall health.